Purchase 50 or more Burns First Aid Kits and download your free support pack worth £100. Purchase 200 or more Burns First Aid Kits and you can have personalised covers absolutely free! 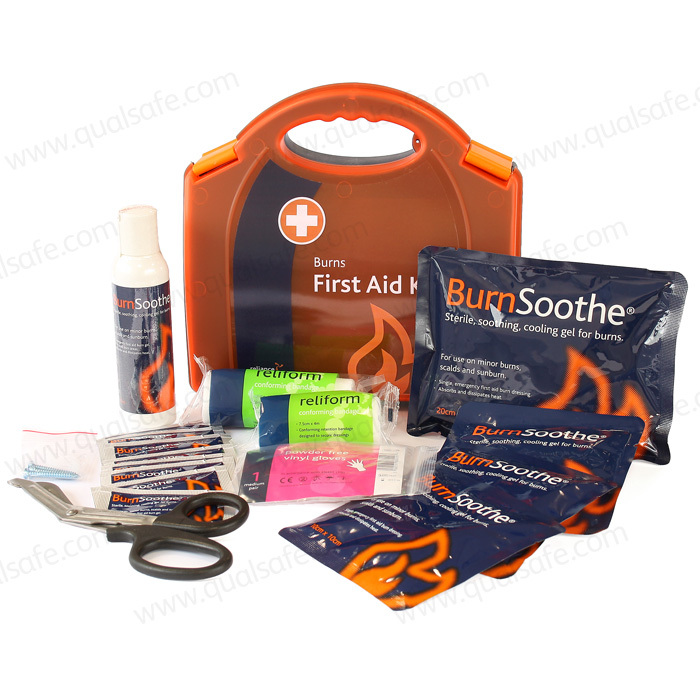 A burns first aid kit for use at home or in the workplace, tailored for environments where the risk of a burn injury is significant. Meets the guidelines given by the Health and Safety Executive. Highly visible red Aura box in durable polypropylene, orange safety clips and integrated handle. The kit provides fast and effective treatment for burns, scalds and sunburn in the workplace or home. L shaped bracket also included.